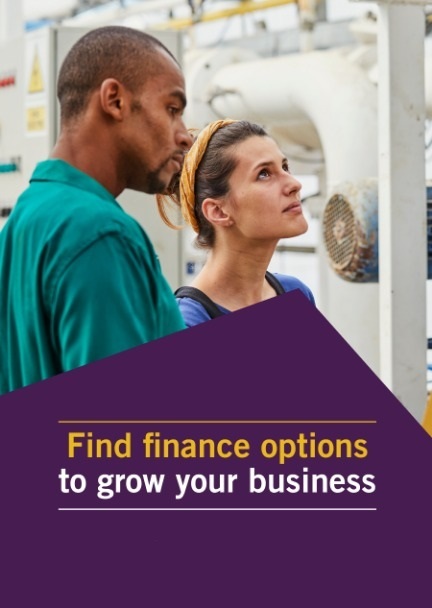 Understand and identify suitable finance options to help your business grow with the Finance Hub from the British Business Bank. Developed in conjunction with editorial partners from across the finance industry, the Finance Hub is an independent information hub designed to help your business grow. Use our simple six-step finance finder and interactive content to learn more about finance and discover finance options that could help your business reach its growth potential. Explore your finance options with The Business Finance Guide – a journey from start-up to growth. This guide has been devised for businesses and advisors by the British Business Bank and the ICAEW Corporate Finance Faculty, supported by a further 21 major professional, membership and representative organisations. It is a unique guide that sets out the main things to consider and the finance options available to businesses – ranging from start-ups to SMEs and growing mid-sized companies. The guide also includes several tools and ideas to help businesses consider their finance options, make decisions and plan how they will finance expansion. The Business Finance Guide is also available in Welsh, downloadable from the Regional Support page of the Business Finance Guide website. You can also tweet about the guide using the #bfguide2016 hashtag on Twitter. The English and Welsh language editions of the Business Finance Guide are downloadable from the Guide’s dedicated website. This resource also contains videos and additional content about finance options..
UK Finance’s Business Finance for You tool also provides a search function to businesses looking to raise finance from private sector sources, including many unlocked by the British Business Bank. A new improved tool on the gov.uk website provides information on grants and schemes provided by the public sector. For further advice on finance options for your business, please call the Business Support Helpline on 0300 456 3565, Monday to Friday, 9am to 6pm. (Calls to 0300 numbers cost the same as calls to geographic numbers starting 01 or 02 and may be included as part of inclusive call minutes or discount schemes as defined by providers). The Chartered Institute of Credit Management have produced a set of guides looking at all aspects of cash management . If you are particularly interested in applying for equity finance, the British Private Equity and Venture Capital Association has an online one-stop shop for venture capital and entrepreneurs. The UK government provides a range of services and support for smaller businesses. The GREAT Business website provides details of what the government offers, as well as inspiration for growing your business. The new and improved Business Banking Insight website aims to help over 5 million UK businesses to identify which bank is best for them and get the best possible service. It provides SMEs with a clear and credible way to judge how their bank compares to its competitors and the finance options they offer.